Noel: Lemon Rosemary Cake with Strawberry Cream. I'm sending everyone sweetness and light from my bakery. Lemon rosemary layers with strawberry cream filling. •Preheat oven to 325º. Line three 9" cake pans with parchment rounds and spray with non-stick cooking spray. •In a small bowl, stir together the milk, lemon juice and zest. It will start looking curdled...that's perfect! •In the bowl of a stand mixer fit with the paddle attachment, combine the butter and sugar and cream until light and fluffy. •Add eggs, one at a time, scraping down the sides of the bowl in between each addition. Add the rosemary and the lemon extract. •Scrape the bowl one last time and mix well. •Add 1/3 of the flour mixture. Mix lightly and then add 1/2 of the milk/lemon mixture. •Continue alternating between the flour and milk until all are combined. •Divide the batter evenly between the 3 pans and bake for 30 minutes or until the cake is lightly golden brown and springs back when you gently poke the top. •Allow to cool for a few minutes and then turn out the layers onto a cooling rack and allow to cool completely. •Soften the cream cheese in a mixer with the paddle attachment. Transfer to a small bowl and stir in the strawberry jam. •Whisk the heavy cream to stiff peaks in the same bowl (don't need to clean it) to medium peaks with the whisk attachment. Add the cream cheese and continue whisking until you achieve stiff peaks. Along the way, test the filling for sweetness. 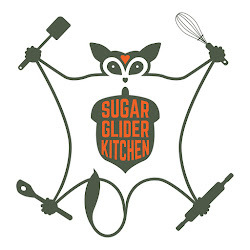 If it's not sweet enough, add 1 tablespoon of confectioner's sugar at a time until it's sweet enough for you. •Combine the egg whites, sugar and pinch of salt in the clean bowl of a stand mixer. Place the bowl over a bain marie and whisk until the sugar has completely melted and the mixture feels warm to the touch. Transfer the bowl to the stand mixer with a whisk attachment and whisk on high until the meringue reaches stiff peaks and the bowl is cool to the touch. Add the extract. •Add small pieces of butter a bit at a time. Usually I only need 2 sticks of butter for the butter cream to come together. It will start looking as if it curdles just before it comes together. Once it gets to this point, add another tablespoon of butter and allow to smooth out. •About a 1/2 hour before you assemble the cake, combine the strawberries, sugar, lemon juice, zest and rosemary in a small bowl and stir to coat. •Combine all ingredients but the gelatin and the confectioner's sugar in a saucepan and stir over low heat until the butter melts. •Sprinkle the gelatin over the surface of the saucepan ingredients in an even layer. Allow to sit until the gelatin looks soggy. Once soggy, stir the gelatin over low heat until it's completely melted. •Add 2 pounds of confectioner's sugar to a mixing bowl. Pour the gelatin mixture over the confectioner's sugar and mix on low with a paddle attachment until smooth. •Change out the paddle attachment for a dough hook and continue mixing, add the confectioner's sugar 1/2 cup at a time until the mixture forms into a ball. •Transfer the fondant to a very clean work surface sprinkled with confectioner's sugar. 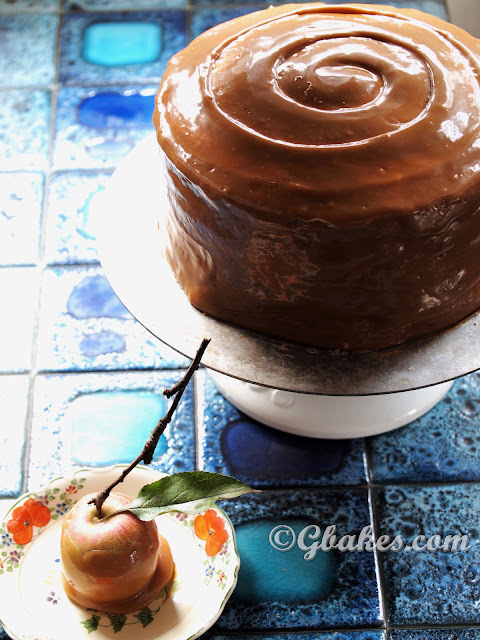 Knead the fondant until it is smooth and is no longer sticky, adding a bit of confectioner's sugar at a time. Cover with plastic wrap and leave at room temperature. You'll have extra fondant that you can keep covered in plastic wrap and then sealed in an airtight container. •Place a cake round on a platter and brush a thin layer with a pastry brush with the juices that have run off the strawberries. Lay half the strawberries on top of the cake layer and spread half the filling on top of the strawberries. Top the filling with another layer, brush with the strawberry juice and top with the remaining strawberries and filling. Place the last layer on top of the filling and brush again with the strawberry syrup. Wrap the cake tightly with plastic wrap and freeze for an hour to set. •Once the cake has set, cover the entire cake with a very smooth crumb coat of buttercream. Refrigerate for an hour for the buttercream to set. •Measure the height of the sides of the cake and the diameter the cake and add together. IE, say the side of the cake is 8" tall and the diameter is 12", so you'd add 8+8+12 = 28". So you want to roll out a circle a little larger than 28". •Cut off 1/2 the fondant and roll it out on a very clean surface sprinkled with a light dusting of confectioner's sugar. Lightly dust a rolling pin with confectioner's sugar. Roll the fondant out to 1/8 inch thick and then carefully roll onto the pin and transfer to the cake. 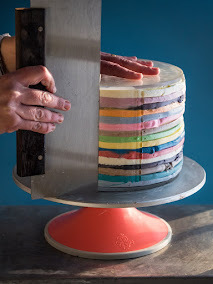 Gently smooth the fondant onto the cake and trim the bottom with a sharp knife or pizza cutter. ***NOTE***You can mix up the flavor of the fondant with other clear, natural extracts like orange, peppermint, anise or almond! •Make the royal icing: Stir the confectioner's sugar and egg white powder together with 1 tablespoon of milk. Add more milk as needed to make a paste that is easily piped but still holds its shape. Transfer the royal icing into a pastry bag fit with a small open tip. Pipe dots and swags willy nilly.